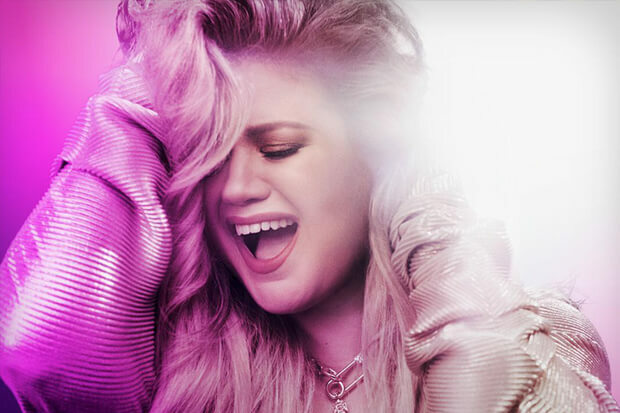 Kelly Clarkson Stuns On Inspiring New Anthem "Broken & Beautiful"
Kelly Clarkson is bound to eradicate even the thought of a mid-week slump with her soaring new single “Broken & Beautiful.” America’s original Idol announced the song, the first of several contributions to the UglyDolls soundtrack, earlier this week. Out today (March 27) and featuring a writing assist from none other than Pink, it is a serious anthem. On it, the “Love So Soft” diva searches for someone to love her as she is. “I know I’m Super Woman, I know I’m strong, I know I’ve got this ’cause I’ve had it all along. I’m phenomenal, I’m enough, I don’t need you to tell me who to be,” she declares. Everything builds up to the powerful chorus. “Can someone just hold me? Don’t fix me, don’t try to change a thing. Can someone just know me? ‘Cause underneath I’m broken and it’s beautiful.” The single seems to set the tone for the rest of the movie, in which the enduring pop icon plays a lead roll. And it looks like the soundtrack is shaping up to be quite the star-studded affair. It includes several additional songs from Kelly (two of which are duets with Janelle Monáe). And that’s just the tip of the iceberg. Others involved include co-stars Nick Jonas, Bebe Rexha and Blake Shelton. Anitta, Pentatonix and Why Don’t We also have new material on the tracklist. Pre-order the soundtrack here and then press play on “Broken & Beautiful” below! Do you love Kelly’s new song? Let us know below, or by hitting us up on Facebook and Twitter!